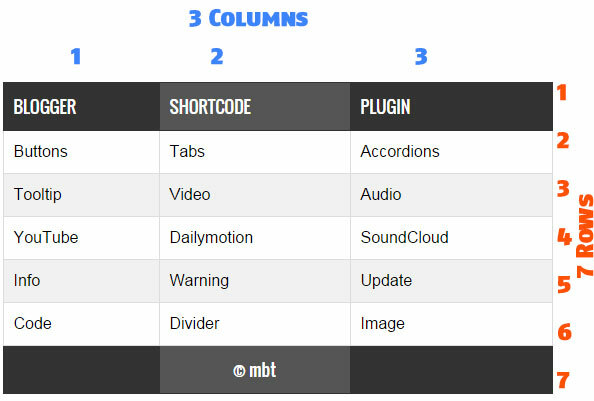 Create Shortcode For Responsive HTML Tables! An HTML Table is the most important part of a webpage design that helps you organize content in rows and columns. If you have large HTML Tables then they can barely fit in small Mobile screens and if you try to squeeze it up, the tables either crash or becomes unreadable. Today we will help you create dynamic and Fancy Mobile Responsive HTML Tables using Shortcodes that are naturally fluid and responsive by nature. Instead of squeezing the Table we will let your mobile readers to horizontally scroll Table data using their Thumbs. Responsive Tables are touch sensitive and they can be scrolled to left or right, thus making your content both viewable and readable. All these thanks to Blogger Shortcode Plugin that helps you create amazing design tools with a simple one line code! You will be able to insert HTML Tables inside your Blog Posts, widgets and guess what? You can even add Tables inside your blogger comments! What is HTML Table Shortcode? The table shortcode is a simple textual shortcut code that lets you create fancy Tables without using complex HTML. You can create tables directly from your Blogger Editor composer without needing to switch to the HTML mode. Heading This tag is written as <th> In our shortcode you will call it [heading] which sounds much more readable. Instead of using a complex ugly HTML code to design a table you can use a human readable shortcode that does wonders. Our Shortcode is not platform dependent. You can use it anywhere you like, may it be Wordpress, Joomla, Drupal, Blogger or a simple Static HTML webpage. It works great everywhere. So far this is the first Shortcode for HTML tables that does not uses the complex method of passing data as a long sequential array. Instead you will construct the layout for your HTML Table using rows and columns to clearly organize data. Lets create one instantly! We have created 4 Color Themes. 5 Save your template and all done! The above image shows a Responsive Table with 7 Rows and 3 Columns. Where each row contains three columns. Columns are vertical and Rows are horizontal. 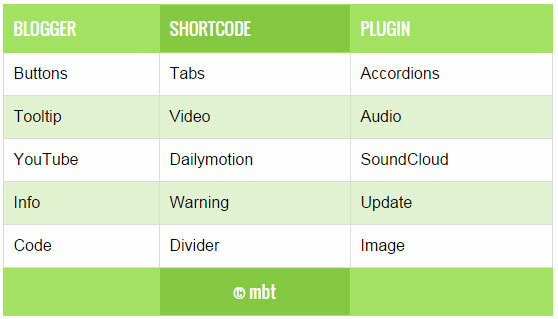 Now when you wish to add a Table inside your blog post, you will add the full shortcode in this format. The default theme is theme1 for which you can use simply [table], no need to mention color attribute. Lets Create a table with 4 Rows and 3 columns. If you need any further help do let us know. You can also join our 24/7 Free help and support forum to ask for further technical assistance. This is redundant. Why manipulate the DOM when you can do the same thing by following the standards which are more readable and understandable by the community and not to mention the better performance. By using this, people are highly dependent on the script, because there is no way to remove the short codes as browsers don't understand them and an individual can't change/modify them. This is different, but take a look at how AngularJS directives works. I request that you kindly read the tutorial once thoroughly and carefully. Its not about manipulating the DOM or rewriting the same thing in a different way. Do you think tr, td and th are readable? Do you think users can understand what they stand for more easily compared to row, col or heading? Can you insert the HTML table inside blogger comments? Can you insert them inside the Comment iframe? Can you create a table in blogger on Composer screen without switching to the HTML mode? 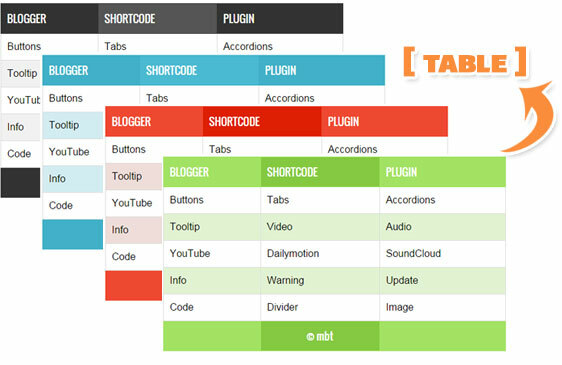 Blogger shortcodes makes it all possible and that is why it is not redundant but a life saver that makes your job extremely easy. People can easily upload the script on their servers and can edit it too. We have not restricted anyone from using only our sever hosted links. So you are free to host the scripts anywhere you like and use the shortcode that best suits you. I wont agree that browsers wont understand them. Please test things first before making a conclusion. The shortcode plugin is compatible with all latest and major browsers from webkit to IE. Yes Mustafa, it surely does answers' my question which I asked in the "Blogger Help Forum". I am using nvu HTML table creator for my blogger tables and I have no problem with desktop series view of the tables. But in mobile view, tables was not fitted on screen. Can you please confirm that above Short code tables will be auto adjust with any mobile screen size. Make sure you have followed the steps correctly. What is your site URL? Hi Mohammed Assalamulaikum;... Nice Idea and Nice Post but the problem is that it is not working in Mobile mode... check your demo site once in mobile mode..
Blogger default mobile view rips Custom stylesheets from the template. You must create a custom responsive stylesheet for your template to make it work. The shortcodes works great on custom mobile stylesheet because Blogger mobile view is not recommended both from SEO point of view and Ad revenue. Yes Bro.. That's what I am saying.. The Demo Link given by you in this page is not responsive hence the table is not displayed.. Yes.. Now it is working perfectly.. The reason why it loads slow on your blog is that you are not using our Source link and instead uploaidng it on Google drive which I said is not as fast in rendering data as your directly hosted link. You may kindly either use our source link or paste the shortcodes directly insid eyour template like we did. Wouldn’t it be better to actually use pseudo css ::before/::after to get those headers to show up in each cell? Awesome article bro, you always think about small things which make sense allot. I just tested the code and was able to create upto 40 Columns and above. There is no limit. You can create as many tables as you can. 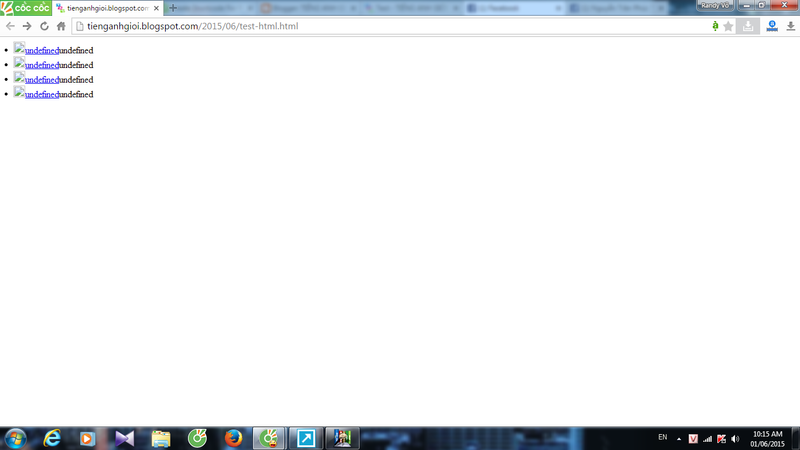 Please kindly help me, its working when used as sidebar gadget but when i used it as a blogger post, its not working. Kindly help me fix this. There are certain weak points of shortcodes. For example I can't put table inside tabs. I can't put tabs inside accordion. I didn't try but I don't think I can put table inside accordion either. Can it be fixed bro? Otherwise it's amazing what shortcodes can do! Mohammed Bro. Please take my regards. I love your blog and everything you did so far to improve blogger platform. You are a true inventor and deserve immense recognition. I have addedd two tables on a post but none are showing up. I don't know why. I have added jquery script in head, the shortcode script in body and inserted the table codes as you said. However, the tables show up nicely on static pages but not on post pages. Why is this happening? Please help. This is as far as my knowledge goes in troubleshooting this. :(.